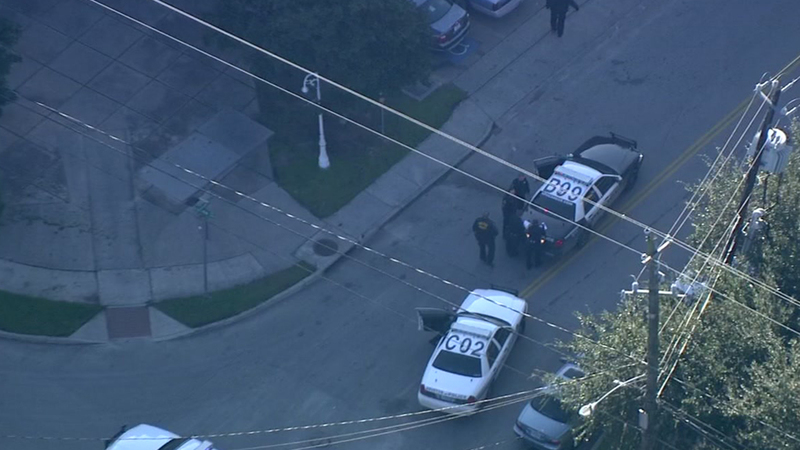 HOUSTON (KTRK) -- A police chase through northeast Houston has ended with three people arrested at Pannell and Lyons. Police tell us it was a 10-minute chase that started at 8:50am in the 5300 block of East Houston Road. Police say they were monitoring a so-called "hot spot" along the East Freeway, looking for any suspicious activity. HPD says officers ran the license plate number of a Lincoln Navigator they saw and it came back to a person with a warrant for an arson charge. Police say they called for more units, and when they tried to stop the vehicle and arrest the suspect, he drove off. The chase ended in the 3800 block of Lyons at Pannell after a chase through the northeast side of Houston and briefly along the North Loop. The suspect's father tells Eyewitness News his son was on the phone with his girlfriend during the chase. The father tells us she heard the chase commotion and called the suspect's brother who then called someone else. The suspect's father happened to be outside the home, he says, when his son pulled up and approached his father. The father saw a knife and took it from his son. The driver of the Lincoln was the only one who was arrested -- the others who we heard were initially in custody following the chase were let go by police. We're following this story on air and online. Watch for updates on abc13.com and our app and on Eyewitness News at 11am.